This is a Complete Emergency Medical Jump Bag created for a compact solution for On-Duty Medics. It is currently being carried and deployed by hundreds of Fire/Rescue Departments world-wide on a daily basis. 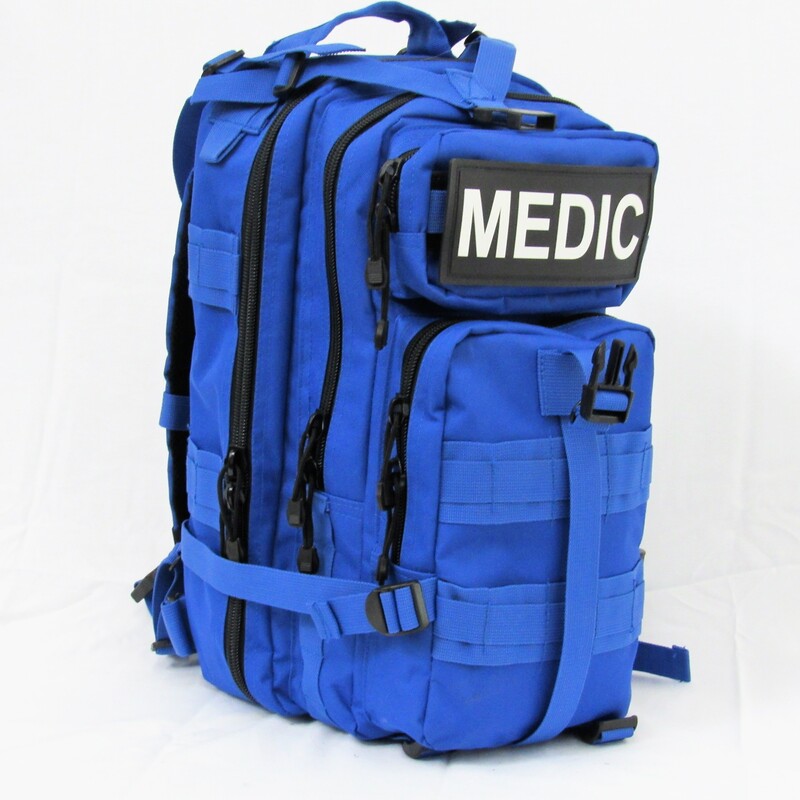 It is a complete Field EMS Bag custom packed for this compact space saving pack. The bag itself is a lightweight nylon with reinforced stitching that can be worn as a backpack and is equipped with multiple elastic loops and pockets for all critical lifesaving gear. This is a rugged pack designed to be used daily by medics everywhere.